These were originally part of my winter warmers patterns and after having cold hands this week I thought it would be worth making this pattern available as a separate pattern! These are made in the round and are quite simple to make. I used Heirloom Cotton, but they work perfectly with any DK weight yarn. 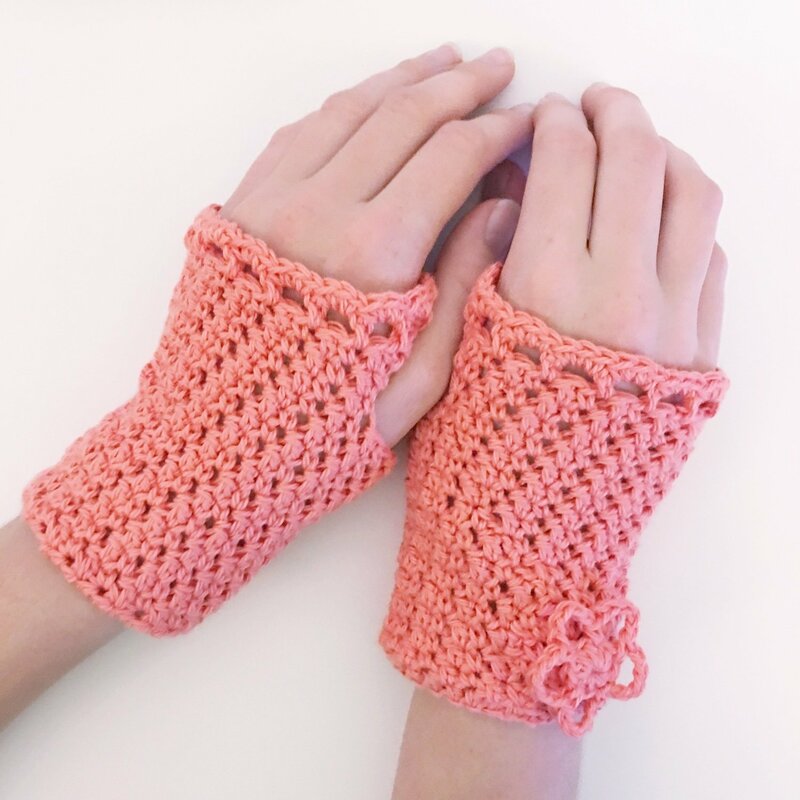 I love them because they keep your fingers free but your hands and wrists warm! Pattern is made for small but provides instructions for how to make them larger too.